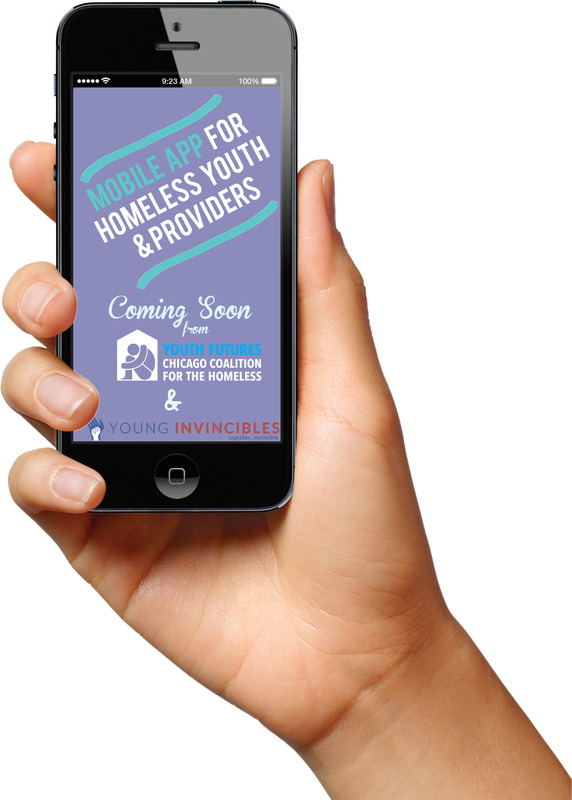 A mobile phone app for homeless youth and providers will be ready for use in Chicago by next August, a joint project of CCH’s Youth Futures legal clinic and technical staff from Young Invincibles. The project is funded through a generous grant awarded by the VNA Foundation. Homeless youth in Chicago have a variety of resources available to them. But too often they are required to rely on word-of-mouth or referrals to learn where youth shelters, health clinics, legal aid and other services are located. When an overnight shelter is unavailable, youth are left scrambling, unaware that a bed may be available at a nearby shelter. The app will provide youth with real-time information while offering phone numbers for key resources and referrals. Youth health attorney Graham Bowman will convene focus groups of homeless youth and youth providers to inform the design and development of the app by Young Invincibles IT staff. Focus groups will be convened through early 2016, with the app projected for launch by August 2016. After its launch, Graham will train 50 providers on how to help youth access the app. Young Invincibles is a national nonprofit that advocates on behalf of issues that are particularly relevant to millennials, such as access to health care, education, and jobs. To learn more or to provide input into the development of the app during an upcoming focus group, contact Graham Bowman or Young Invincibles Midwest Director Eve Rips.